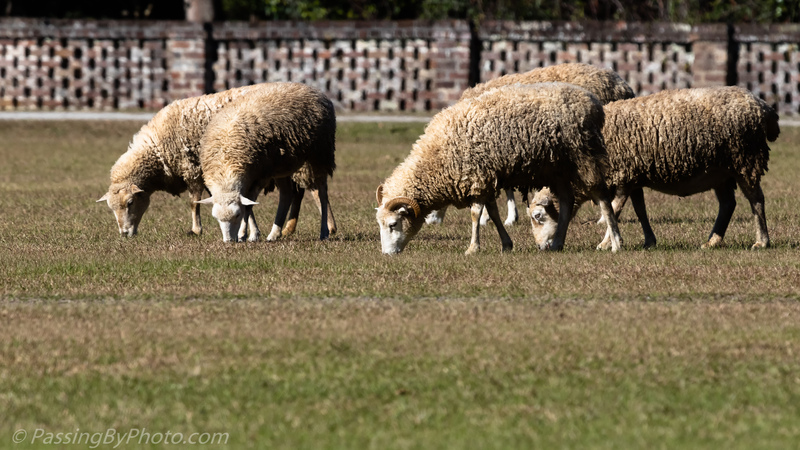 Middleton Place has a flock of sheep that roam the main grounds keeping them manicured. Weighted gates that close automatically behind the tourists allow foot traffic into the central green of the plantation and keep the sheep from escaping. The sheep are looking scraggly as we head into winter; they will be shorn in the spring after lambs are born. 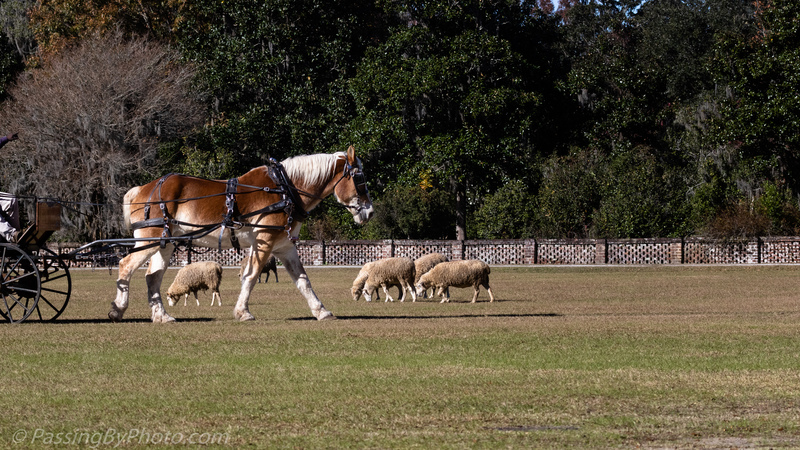 Belgian Horses are another heritage breed raised at Middleton Place. They provide carriage rides for visitors around the plantation grounds and are ignored by the sheep as they graze. Thank you Ellen, for sharing a part of our Belgian heritage. When I was a small kid, one saw these horses everywhere and they were worlwide exported because of their, yes, horse power. You’re welcome, Greta! Glad that you enjoyed seeing a glimpse of this beautiful animal with a connection to your part of the world!